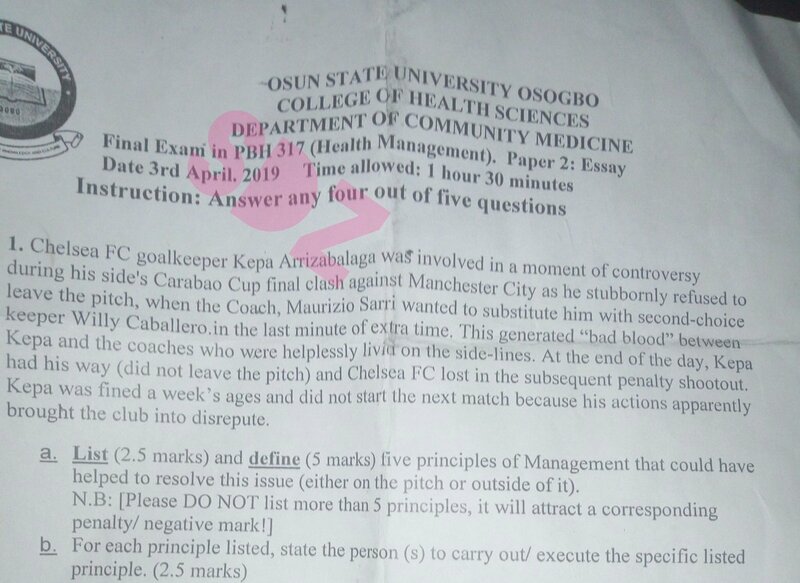 An Exam Question was seen in the Department Of Community Medicine at Osun State University as the question talked about Chelsea and Manchester City Match. Gistvic Reports. The question talked about the match between, Chelsea and Man City when Chelsea goalkeeper Kepa Arrizabalaga was involved in a moment of controversy during his side's Carabao Cup final clash against Manchester City as he refused to leave the pitch, when Maurizio Sarri had opted to bring on Willy Caballero which made chelsea lose the match.